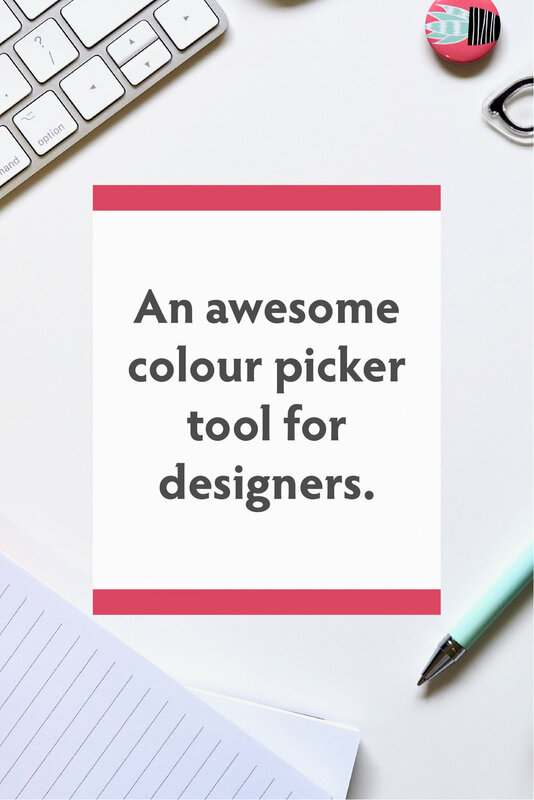 Why you need to be using this awesome colour picker tool for your designs. If you are a business owner or a designer then no doubt you would have considered colour palettes at some point. Perhaps you make colour palettes often for your clients, or maybe you need to make one for yourself. But picking what colours you use can be a bit tricky. You might know what type of colours you want (for example light pink) but how do you find the HEX code? You could google HEX code light pink (which I have done countless times before) and this would give you a result, but then how do you save that HEX code for future use? And how do you effectively pick colours that work with that light pink? How do you pick a complete palette? This is where Adobe Kuler really comes in handy. 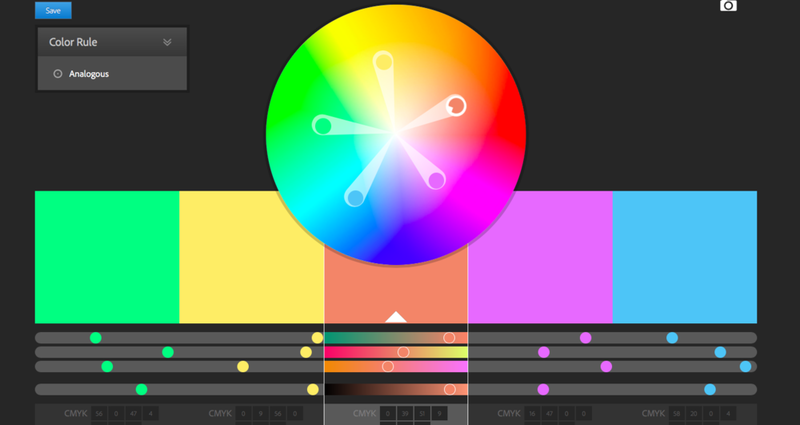 Kuler is a free service made by Adobe, and it was made for the sole purpose of picking a colour palette. And it could not be easier to use. Check out the Kuler website here. Once you click on a rule you simply drag one of the colour pickers (the little circles) around the colour wheel, and the other colour circles automatically change depending on the rule you have chosen. You can drag the colour picker out toward the edges of the colour wheel to make the colour selections brighter and bolder, or inward to make the colours more pastel and light. If you drag the “key” colour, the colour picker circle that has a bolder outline and a little triangle within it, then you keep the ratio of colours (how far apart they are on the wheel) while changing the whole colour scheme. What is so awesome about this is that it picks colours based on your chosen colour rule - so you know that all those colours go really well together and actually are based on science and colour formulations. All with the click of a button! But you can actually break the rules at any time. Simply pick the “custom” colour rule and you can choose whatever colours you want. Plus It tells you the HEX code, the RGB mix, the CMYK mix (and two others - LAB and HSB - that I personally never use) all down the bottom for each colour. When you come up with a palette that you really like you can save your choice. You can make heaps of different palettes, and then name them and save them in your library. You can also check out some palettes made by other people. Occasionally I have found it a little frustrating that you can only save a maximum of 5 colours, but it still provides an awesome base if you want to add more colours to your palette. What I really like about this is that if I am working on my website and I can’t remember my HEX code for my colour scheme (and I never can! but who would? ), I can simply open the website, click on my theme, and quickly copy and paste my colour. So simple! With Kuler you can create a colour palette from a photo or image. You click the little camera button and then you can upload any image or photo right from your computer. The colours will be automatically suggested for you, but you can also move the colour pickers to anywhere in the photo that you like. Seriously how easy is that?! If you’re a designer this tool is definitely something you should be using, it is a super easy and quick way to pick client colours- as you can use their favourite images to make a perfect colour palette. Not working on a desktop? No worries. Adobe has an app called Adobe Capture CC for mobile. It is super cool, and capable of way more things then just the colour picker, but more on those functions another time. To use the colour picker you click on “colours” and then the big “+” sign, and then you can choose to either use the slider tool, or the wheel tool. To change the colour rule click on the little colour picker icon on the left just above the colour wheel. From this app you can also pick colours from a photo or image. When you click the + button you can choose “capture from camera” or the colour wheel. When you click camera you can actually take a live photo and the colour palette keeps changing depending on where you point the lens, it’s a really cool feature. You can also choose to upload photos you have already taken by clicking the little photo image on the bottom left hand side, scrolling through your images, selecting one and then ta da! Beautiful colour palette ready in a jiffy. If you have a creative cloud subscription it gets even better. If you subscribe to creative cloud suite (like I do) then when you save your colour themes they are also automatically added to your library across all your applications. So I can click the little cloud button on Illustrator, and then all my colour palettes (called “colour themes” on Adobe) are ready to go. 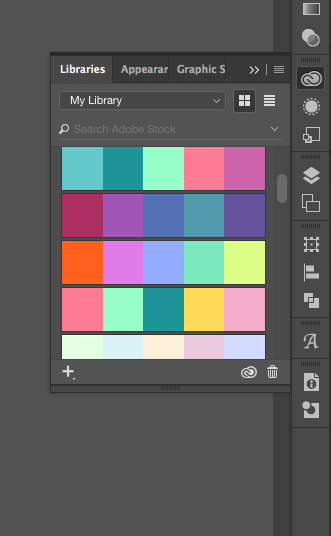 This means that when I create a new brand board, a new logo or any new buttons for a website, I don’t even need to look up the HEX code for the colour scheme I have chosen, I can just click the colour straight from my palette within the program itself. It seriously couldn’t get more easy or convenient. Want to find out more? Check out the suite here. Do you have adobe creative suite? Have you ever tried Kuler? Anything you really like or don’t like? Let me hear about it! Newer PostIf you use this common advertising technique you could risk losing your most loyal customers. Older PostIs overthinking stressing you out or slowing down your creative brain?